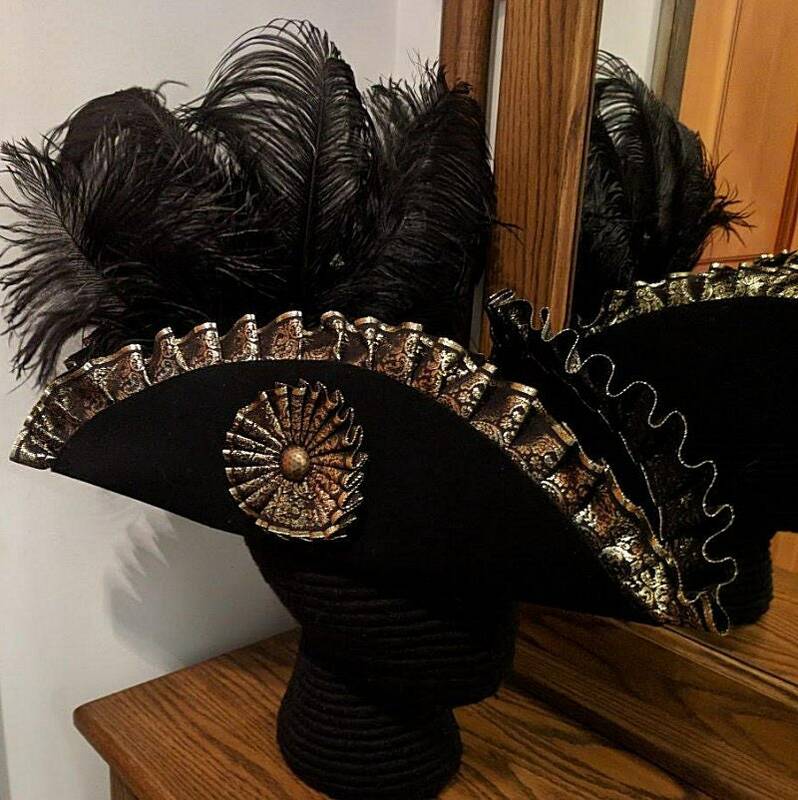 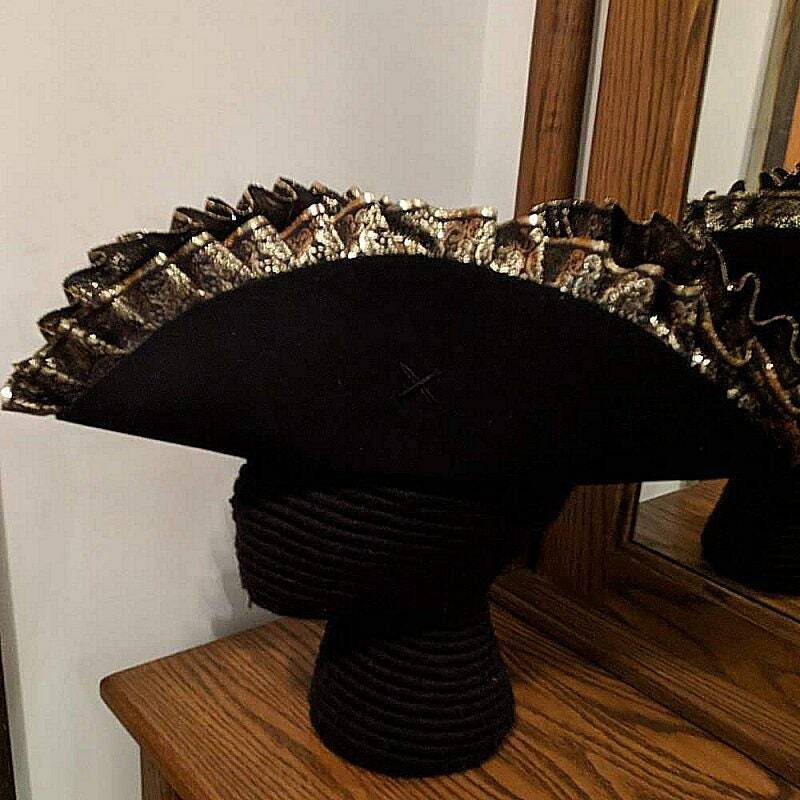 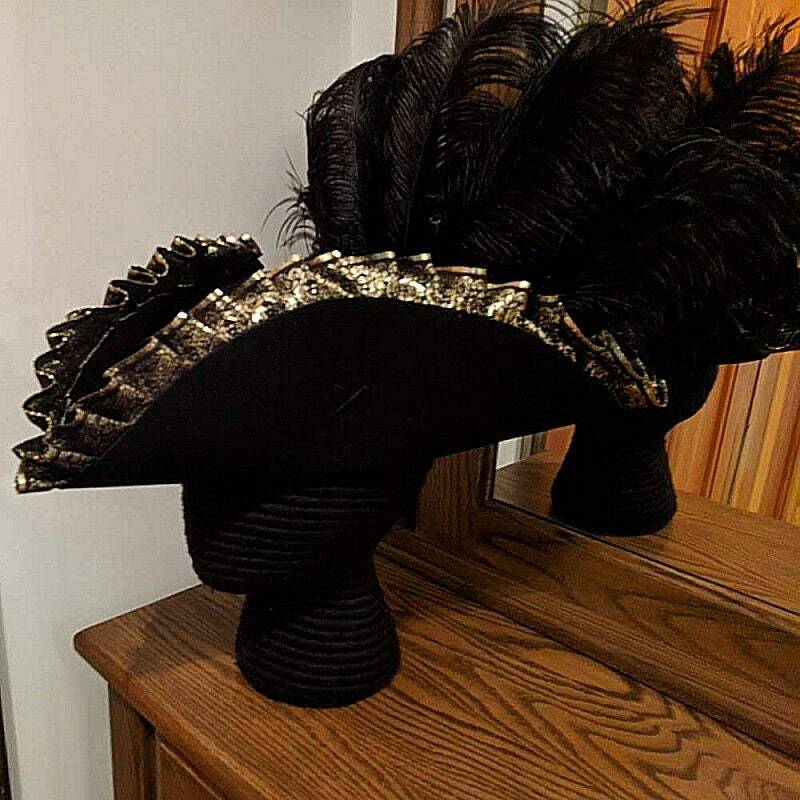 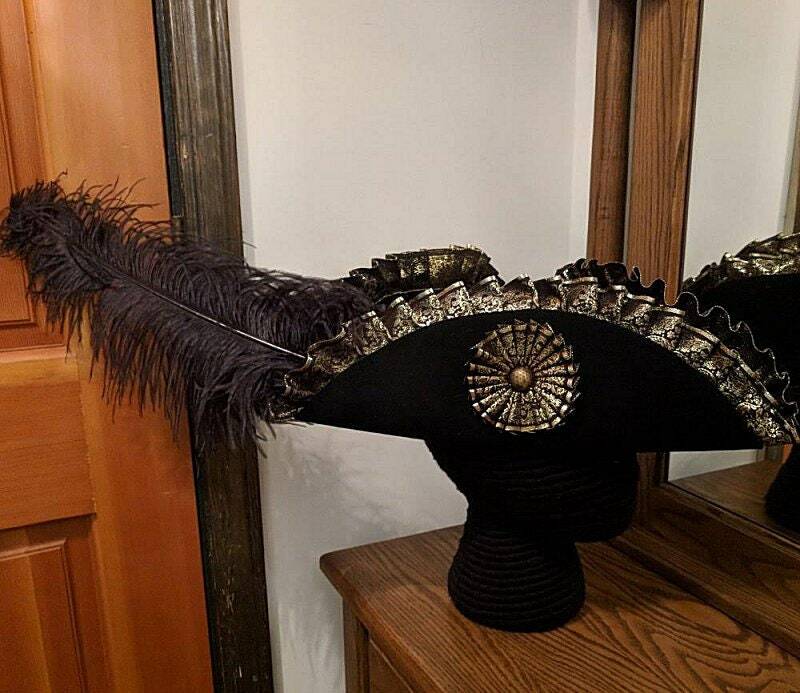 This hat is trimmed with hand pleated black and metallic gold trim with a matching cockade pinned to it. 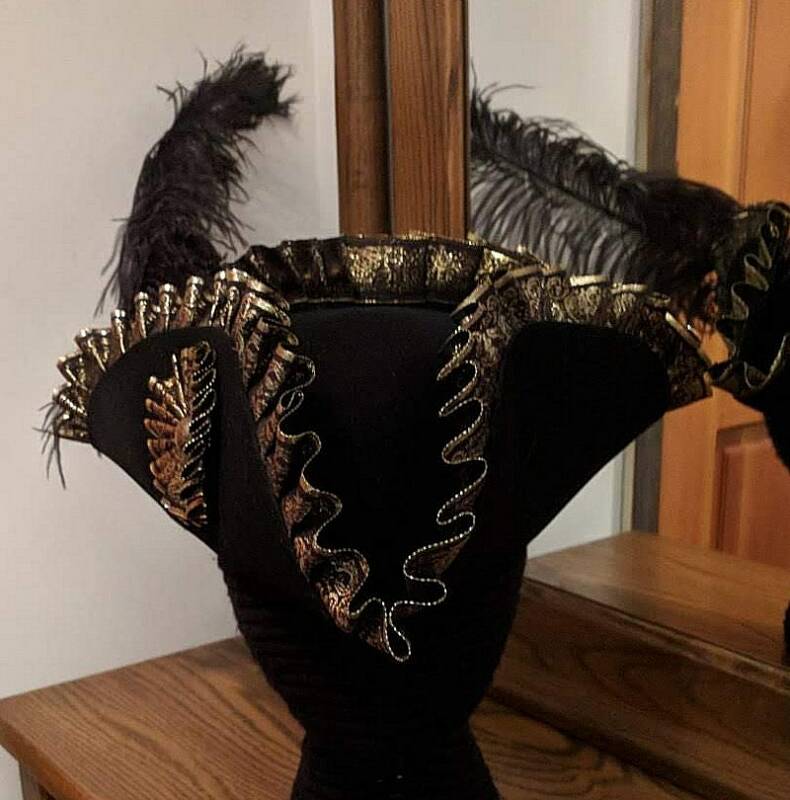 Available with a single large feather, feather arrangement, or plain. 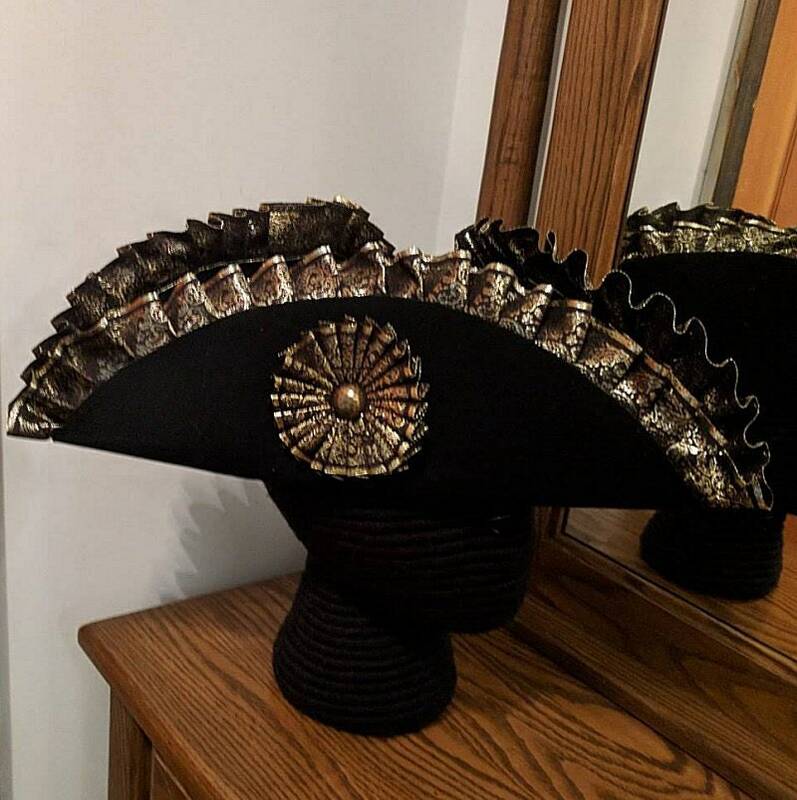 We also have the same trim in white/cream or burgundy. 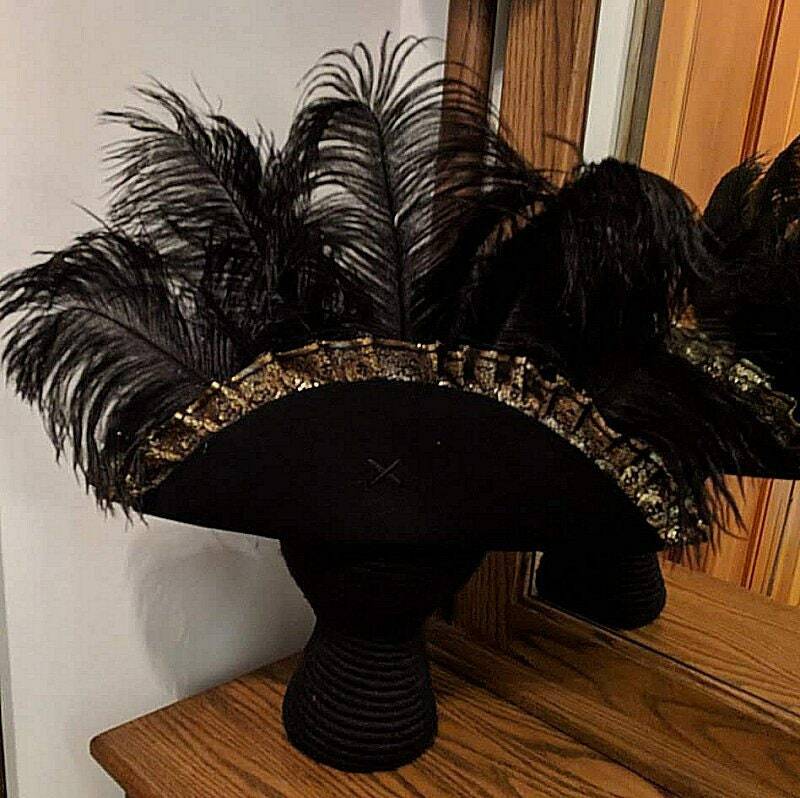 If you'd like to see other available trims, convo us! 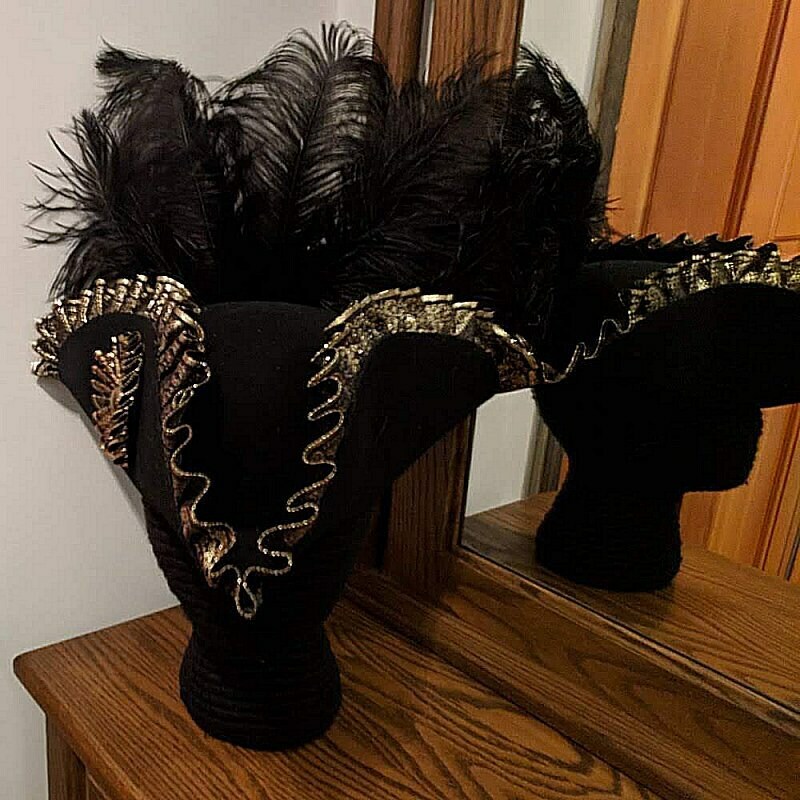 One Available in 2X SIze! 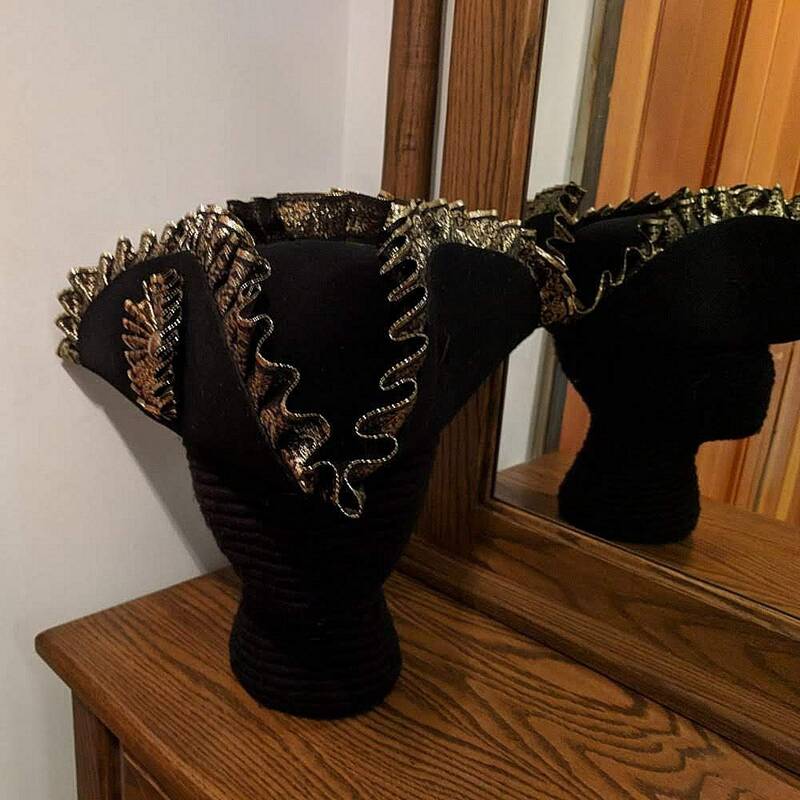 This trim has been discontinued so this is truly a one of a kind item! 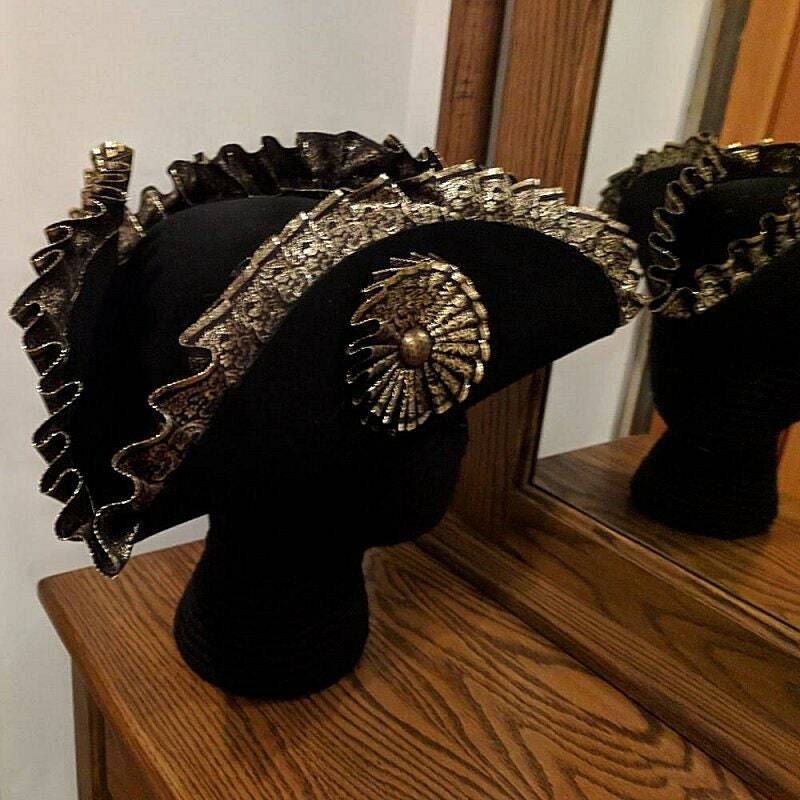 We can make other sizes with the burgundy variation of this trim.